If you place a pre-order for this product now, we will not ship the product or charge your credit card without confirming you still wish to proceed when stock arrives. There are no cancellation charges. *Actual free memory and capacity may vary due to various factors. As the operating system occupies a portion of the RAM, actual available memory is less than stated. As the phone comes with pre-installed applications, the actual storage size is smaller than stated. *Xiaomi phones feature a curved design with gracefully rounded corners. When measuring the rectangle formed from the farthest ends of each corner, the screen has a diagonal length of 6.39 inches (actual display area may be slightly smaller). 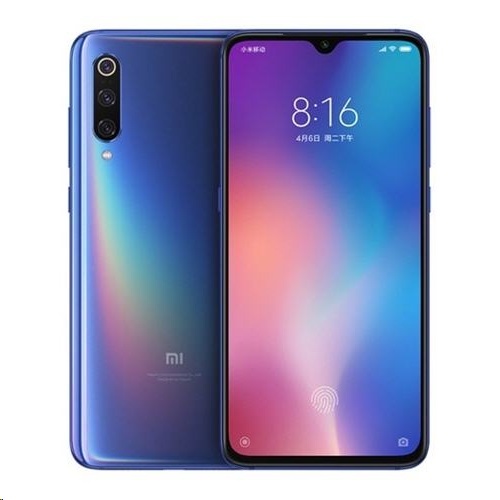 The term Full Screen Display indicates that the phone has a high screen to body ratio in comparison to traditional Xiaomi phones. The screen-to-body ratio of 90.7% was obtained by Xiaomi laboratory data. Methods of measurement may vary within the industry and results may vary. *Third best DxO photo score in the world refers to DxOMark smartphone photo scores. For more information, see: https://www.dxomark.com; Phones sold in initial batches may not include motion tracking, or Moonlight mode, which will be added later via OTA update. Updates may have varying rates of progress; Please refer to the official MIUI website (en.miui.com) for future releases. *The phone supports QC4+ charging protocols. A 18W QC3.0 charger is included with the phone.